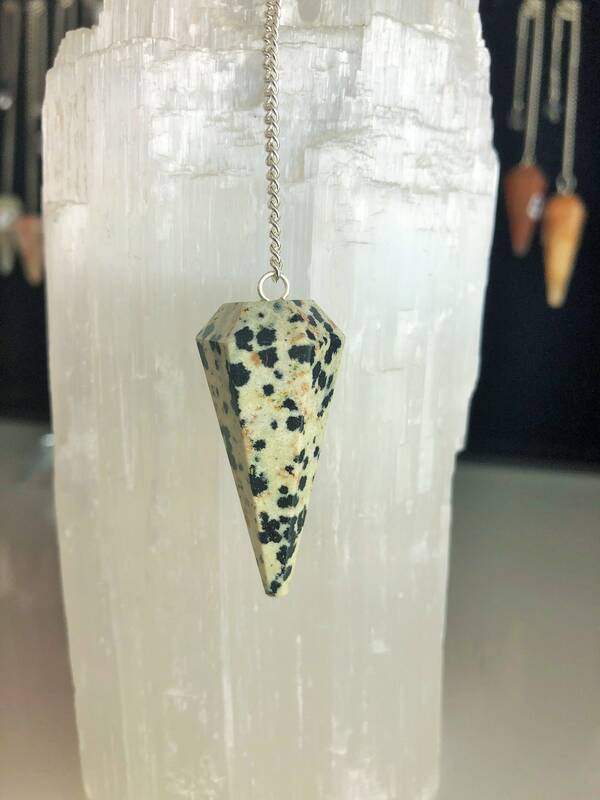 Receive a beautiful Dalmatian Stone Jasper Pendulum Pendant is creamy white with black spots of Black Tourmaline. Great stone for staying grounded. Works well with the Base (1st) Chakra. 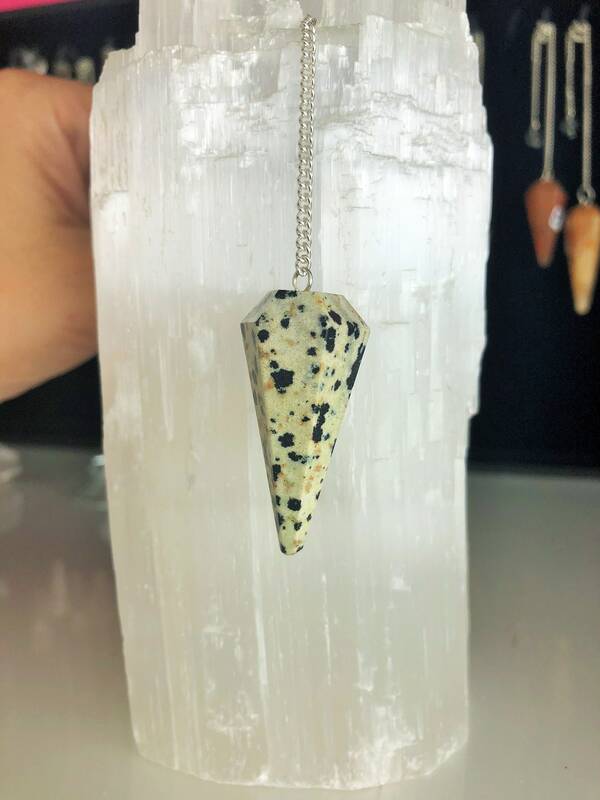 Dalmatian Jasper brings a sense of joy and a feeling that life truly is to be enjoyed. It helps break down barriers that we inadvertently create, allowing us a deeper connection to others and to develop trust where we may have lost it. It can help connect you to your life purpose. 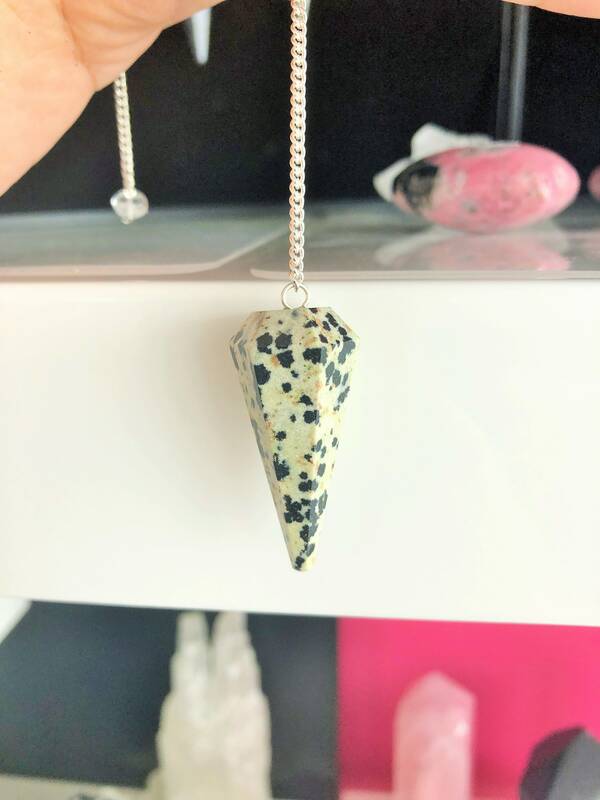 The dark spots are Black Tourmaline, which brings a strong protective energy. SIZE- The pendant measure approximately 1.5 inches in Length and .4 inches in Width.